A U.S. Forest Service report chronicles the damage done by a gas well in the Monongahela National Forest, deep in the mountains of West Virginia. In our original story we wrote that there were 73 active gas wells in the Monongahela National Forest in 2009. We have since received updated and more specific information. Of those 73 wells, three have since been plugged and are no longer producing. Another 55 are actually gas storage wells. When demand is low, operators can pump natural gas into these non-producing wells and store it in geological formations deep underground until demand picks up. The 15 remaining wells are currently producing or are ready to produce gas. A new report by the U.S. Forest Service offers one of the most detailed accounts yet of how natural gas drilling can affect a forest – in this case the Fernow Experimental Forest, deep in the mountains of West Virginia. The report traces the construction and drilling of a single well and an accompanying pipeline on a sliver of the 4,700 acre forest that federal scientists have been studying for nearly 80 years. It found that the project felled or killed about 1,000 trees, damaged roads, eroded the land and—perhaps most important—permanently removed a small slice of the forest from future scientific research. The report said the drilling didn’t appear to have a substantial effect on groundwater quality. The scientists did not monitor the forest’s most sensitive ecosystems, including extensive caves, and did not evaluate the operation’s impact on wildlife. The authors also did not test for any of the chemicals added to drilling and hydraulic fracturing fluids. 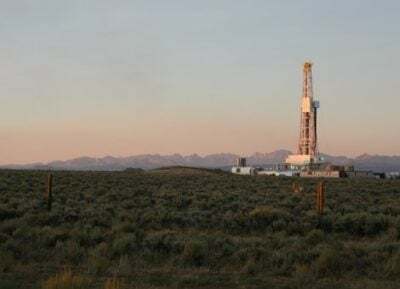 The report, and the well in question, hints at a larger story of the tensions that have emerged as drilling expands across federal lands in the eastern United States. The B800 well, as it’s called, drew controversy within the Forest Service when it was planned and approved in 2007. In a letter obtained by the group Public Employees for Environmental Responsibility, or PEER, three Forest Service scientists criticized the decision to approve the well, saying it threatened endangered bats and the interconnected caves where they live. The scientists also said the well threatened the long-term research performed in the forest. The employees requested a legal opinion on the matter, but were reportedly rebuffed by their superiors. 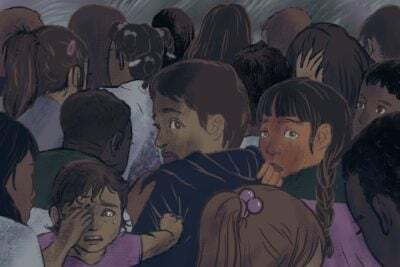 The report, whose authors include the three scientists who criticized the decision, notes that some of the scientists’ worst fears, including that turbid water would fill the area’s caves, did not occur. Instead, the greatest impacts of drilling were unexpected. A planned release of wastewater killed scores of trees, and drilling trucks proved much more damaging to the roads than normal logging traffic. Tom Schuler, a forest researcher who signed the letter and worked on the new report, said it is one of the first published studies to observe the entire course of drilling and preparing a well for production. The need for that research is great, Schuler said. Drilling in Pennsylvania’s Allegheny National Forest, which hosts thousands of wells, has drawn concern for years. There are 15 wells currently producing gas in the Monongahela National Forest, which contains the Fernow research area. A 2006 Forest Service report said 75 percent of the total area of the forest may sit above a gas reservoir. There have been other controversial leases in the Monongahela National Forest as well. Last year, the Bureau of Land Management cancelled plans to lease land for gas development after environmental groups said drilling would threaten endangered bats, as well as local fisheries and water supplies. 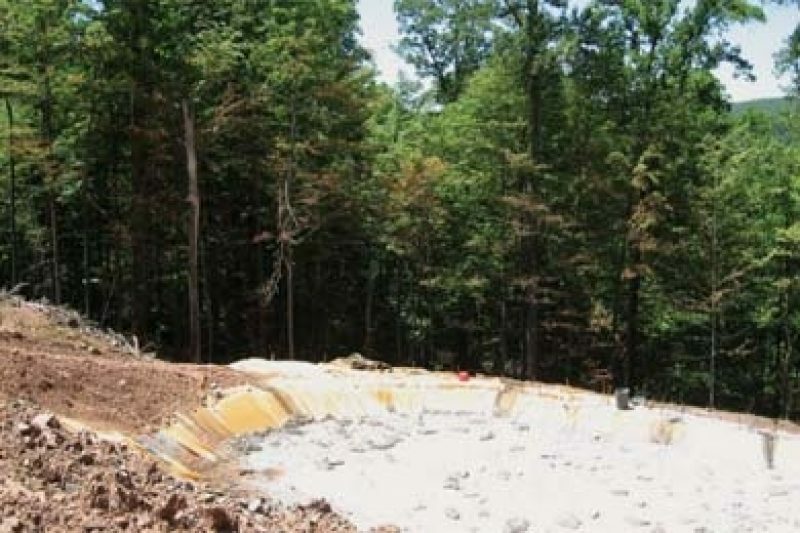 PEER brought attention to this legal problem in 2009, saying the Forest Service was not prepared to handle mineral rights across 34 eastern states and, in the case of the Fernow gas well, avoided addressing the legal uncertainties. “In the face of ambiguity, they just got out of the way,” Jeff Ruch, PEER’s executive director, told ProPublica. Ruch said the documents PEER found showed that Forest Service administrators had more authority than they were ready to acknowledge. The Fernow well is a vertical well and did not require the high volumes of hydraulic fracturing fluids that are commonly injected into the horizontal wells drilled in the Marcellus Shale, which underlies much of West Virginia. The Fernow well was fracked, but with much less fluid. According to the report, a well blowout accidentally sprayed that fracking fluid onto surrounding land and trees, browning leaves and killing ground cover. After drilling was complete, Berry Energy, which owns the well, also sprayed some 80,000 gallons of wastewater into the forest. The briney liquid shocked about 150 trees into shedding their leaves. A year later, half of those trees still had no foliage. This disposal method, called land application, is legal in West Virginia with conventional wells, Schuler said, but is not allowed for wells drilled in the Marcellus Shale. Schuler said the scientists were surprised that the trees lost their leaves. Drillers normally spray the waste over a larger area but the scientists asked Berry to contain the application, which meant spreading the salts and chemicals on a smaller piece of land. The soil in that area was left with high levels of chloride, calcium and sodium. Animals were attracted to the area, likely because of the high salt content of the soil. David Berry, president of Berry Energy, said his company repaired the damage to the roads. He lamented the harm done by the waste disposal. Berry said his company operates about 130 wells in West Virginia and holds another lease for some 6,700 acres elsewhere in the Monongahela National Forest. The report’s authors said more research is necessary and that their findings should not be extrapolated to other wells in the region.